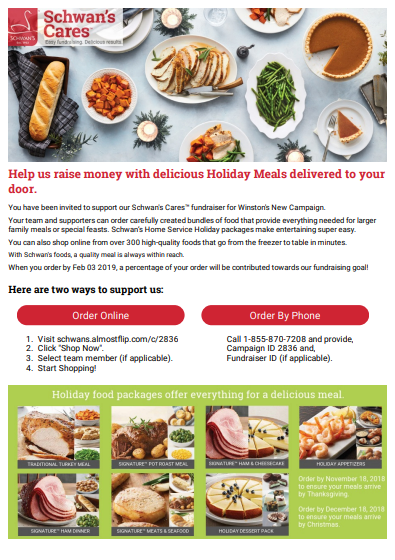 By placing an order through Schwans.com, a portion of the sales will come back in support of the York High School Wrestling program! Shop from over 300 high-quality, family-pleasing foods that are flash-frozen and delivered to your door. There is sure to be something that everyone in your family would enjoy! Thank you so much in advance for your support of the York wrestling program! GO DUKES!